When you view status updates from your contacts on WhatsApp, usually they get an indication that you have seen it. But sometimes, you might secretly want to check out their status without actually letting them know. In a previous article, we’ve discussed how this can be done using an iPhone. In this article, we’ll explore different workarounds for this in Android. This is the only official way in which you can view your contacts’ status updates on WhatsApp without notifying them. 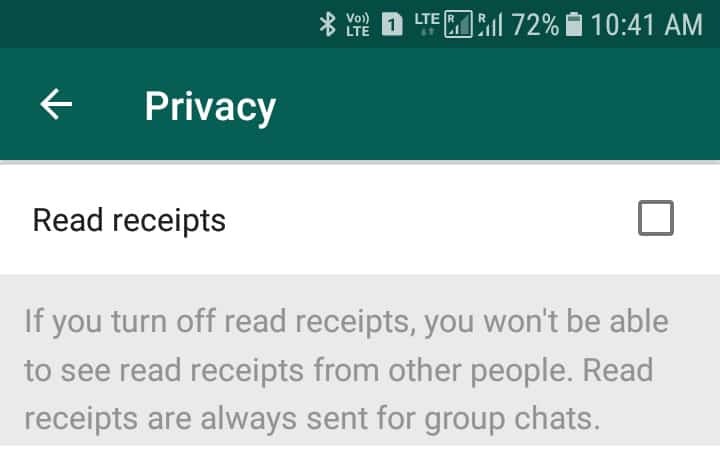 Note that, with this option, you also lose access to read receipt indicators (blue ticks) in WhatsApp chats. If you don’t mind that, this might just be the perfect method for you. As a bonus, your contacts also don’t get read receipts for the chats you read. Alternatively, you might also consider temporarily turning off read receipts for a while. Status updates have a lifespan of 24 hours, and so is the lifespan of the tracking activities associated with them. Usually, if you view a status with read receipts turned off, and later turn it on before the status has expired, the particular contact would eventually be notified of this activity. However, if you keep read receipts turned off until after the status has expired, the fact that you viewed the status would remain a secret. Open WhatsApp on your Android smartphone. Go to Settings >> Account >> Privacy, and turn off Read Receipts. Now, go to the particular contact’s status and view their updates. Keep Read Receipts turned off until after the particular status has expired. WhatsApp sometimes pre-downloads the photos posted in a status, even before you tap on a particular status to view it. In Android, you can view these photos in the .Statuses directory of WhatsApp, using a file manager. Open WhatsApp and visit the Status section. This will allow WhatsApp to download some of the Status photos. Install a file manager app, such as ES File Explorer, on your Android smartphone. Turn on the option to show hidden files. In ES File Explorer, this can be done by tapping on Menu from the top left corner, and enable “Show Hidden Files” option. Navigate to Internal Storage >> WhatsApp >> Media >> .Statuses and copy the photos to a different location. You can now directly open the status photos to view them using the file manager app. And since they are not accessed from within the app, the view status will remain unseen by you for the particular contact. This method, however, doesn’t support viewing text updates, for which you might want to try the next workaround. This is another way to view WhatsApp status updates, without notifying your contacts. However, do note that WhatsApp keeps a tab on the status viewed activities locally, while in offline mode, and can sync them with the servers once you reconnect again. Thus, even if you were offline while viewing a status, your contact will eventually be notified of this once you are online again. As a workaround, you can use WhatsApp Web in Incognito mode to view a particular status in offline mode, and then close the browser window before you connect to the Internet. That way, any status viewed activity stored locally on your computer will be automatically deleted, and the activity will no longer be synced with the WhatsApp servers. Open WhatsApp Web on your web browser, preferably in Incognito mode. Go to the Status screen to view the list of contacts who have shared status updates with you. Disconnect the Internet connection on your computer. With the Internet disconnected, open the status of the particular contact which you wish to view. After viewing the status, close the browser window if you’re in Incognito mode, otherwise clear your browser data. If you were in Incognito mode, the session data would be automatically deleted when the window is closed. Now reconnect the Internet back on your computer. This workaround only works for viewing text updates, or get a rough idea about the photos or videos uploaded to the status. Since you’re offline, WhatsApp won’t be able to download media files from the status. But sometimes, WhatsApp pre-downloads media from statuses even if you haven’t opened them. And if you’re lucky enough, you might just be able to view a fully downloaded version of a particular photo in a status, even if you’re offline and opening it for the first time. A modded version of any app lets you achieve several extra features that aren’t available in the original one. 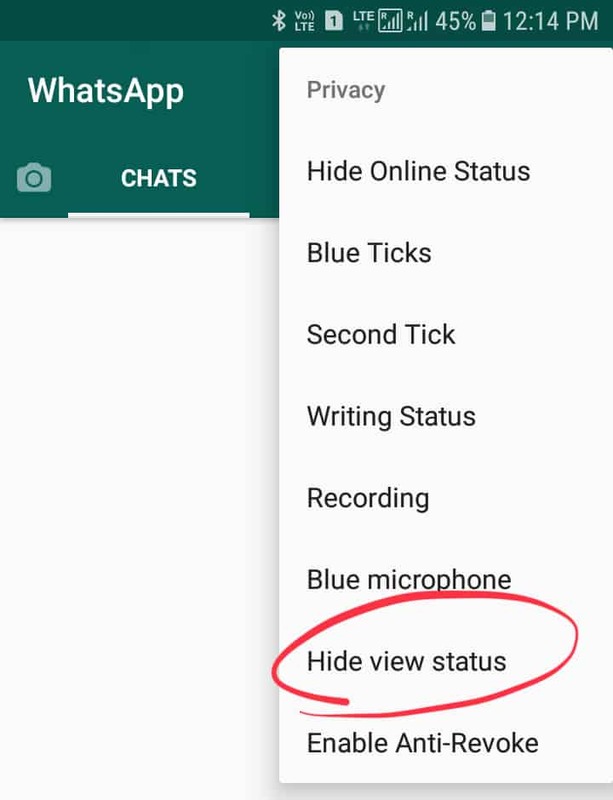 GBWhatsApp is one such mod for WhatsApp that lets you hide status viewed activity from your contacts, among many other features that WhatsApp does not offer. GBWhatsApp is not available in Google Play Store, but if you get the APK file from a reliable source, you can side load the app to enjoy its benefits. Download GBWhatsApp APK from a trusted repository, on your Android device. Install GBWhatsApp on your Android device by tapping on the APK file and going through the steps. After installation, you should find two different versions of WhatsApp on your device. Using a file manager app, go to the original WhatsApp directory on your phone’s internal storage and copy the Databases directory. Now, navigate to the GBWhatsApp directory on your phone’s internal storage and paste the previously copied directory. Launch GBWhatsApp and proceed with the usual setup steps. The app should automatically detect a backup present on your device (thanks to the recently copied Databases directory), and allow you to restore data from it. Once the setup is done and you’re in the Chats screen, tap on the menu button in the top right corner and select Privacy >> Hide view status. You should now be able to view your contacts’ status updates without notifying them. 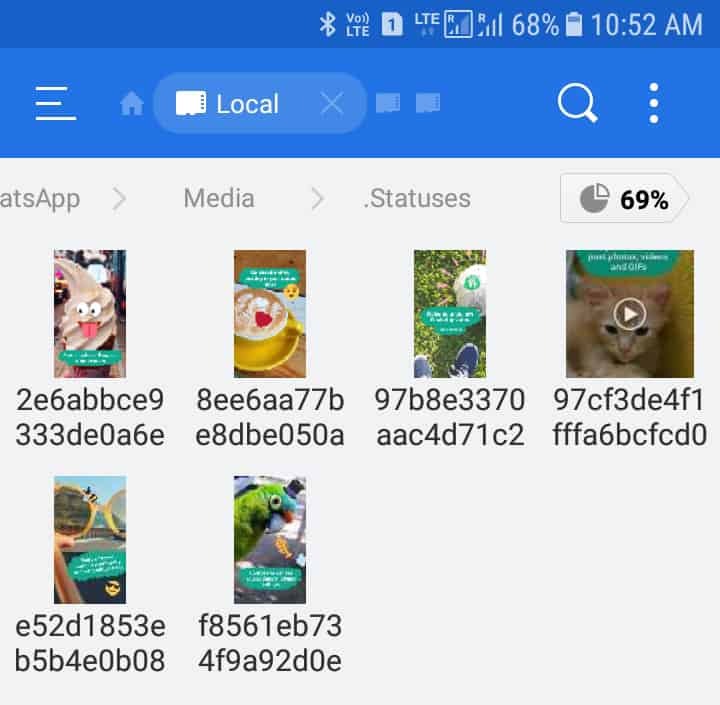 These are four different workarounds which will allow you to view the WhatsApp Status of your contacts on Android without letting them know that you did it. If you have any other workaround in mind, do let us know in the comments below.